Amanita phalloides (Agaricus phalloides), also known as the death cap, is a deadly poisonous mushroom. It is widely found in Europe and because it looks similar to other mushrooms that are edible, every year there are reports of people dying as they mistake death caps for edible mushrooms (Ref.) This is because toxins from Amanita cause necrosis of the liver, also partly in the kidney (Ref.). There are also case reports of successful recovery of intoxicated patients, after using complex treatments (Ref.). The toxic substances within Amanita phalloides are resistant to temperature so they will not be affected by cooking (Ref.). Amanita phalloides contains amatoxins and phallotoxins distributed differently, so that the caps of the mushrooms have the highest content of amatoxins, whereas the volva was richest in phallotoxins. The most toxic are amatoxins one of which is α-Amanitin. (Ref.) It seems that half of a cap contains toxins enough to be lethal to humans. That is about the danger related to Amanita phalloides mushroom. As we have seen in many other cases (such as scorpion venom) when used in safe amounts to humans, the toxic substances can actually become life saving. That seems to be the case also for the toxins from Amanita. As a result, Amanita has been used for hundreds of years in very small amounts (homeopathic amounts) to address various illnesses, and as such it can be found in German pharmacies (Ref.). 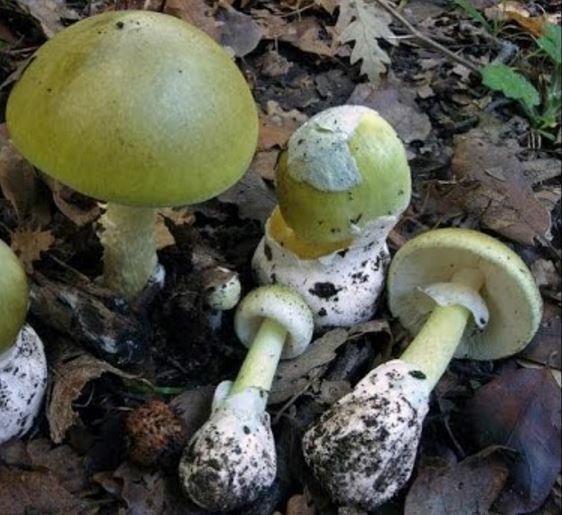 Nevertheless, Amanita phalloides was not used against cancer until relatively recently when a German scientist, Dr. Isolde Riede, started to support cancer patients with a homeopathic version of Amanita (a little more concentrated than the one that is typically found in pharmacies) with results that look impressive. The first case report on cancer patients was published in 2009 in German language and was demonstrating very good improvement of a breast cancer patient after being treated with Amanita therapy (see the pictures in the reference) (Ref.). In addition to the positive results published so far, the fact that the therapy is accessible, it can be taken orally, it is relatively cheap and presents no toxicity (in the homeopathic version), Amanita therapy as proposed by Dr. Isolde seems an interesting one as an addition to a comprehensive anticancer therapy. The anti cancer mechanism of Amanita is discussed in details below, but in simple terms Amanita partially inhibits RNA polymerase II. This enzyme is used in tumor cells to an extent of approximately 100%, whereas in normal adult body cells it is used only to a fraction. If, this enzyme is inhibited in part (e.g. about 50%), the growth of the tumor cell is inhibited without harming the normal cells. Alpha-Amanitin is a peptide which binds with high affinity to RPB1 (the largest subunit of RNAPII). Transcriptional inhibition in alpha-amanitin-treated cells is closely followed by the disappearance of RPB1. The degradation rate of RPB1 is alpha-amanitin dose dependent. Inhibition by alpha-amanitin is an irreversible process leading to the destruction of RNAPII (Ref.). 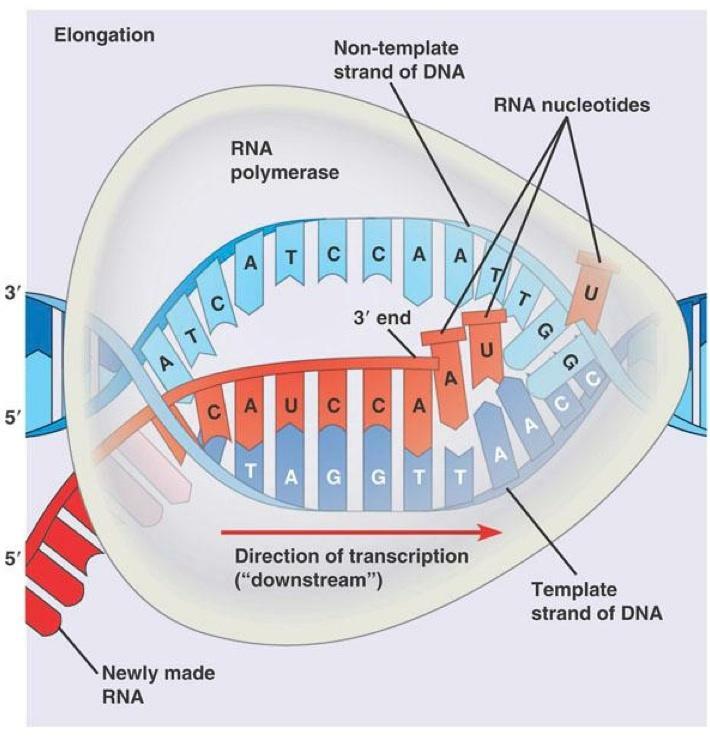 Transcription can be divided into three main stages: initiation, elongation and termination. Initiation involves the binding of transcriptional activators to enhancers, recruitment of general transcription factors and loading of RNAPII onto promoter DNA. Following promoter escape, RNAPII enters into the elongation phase, during which RNA is produced, prior to termination and dissociation of polymerase from the DNA. (Ref.) All these processes are discussed in details in the prior reference. Here is a book (Apoptosis and Cancer Chemotherapy) discussing a model through which inhibition of RNAPII enzyme can lead to a shift of cancer cells towards apoptosis, specifically when under stress such as that produced by hypoxia (Ref.). And here is a paper that may indeed support the thought that in hypoxia conditions RNAPII inhibitors such as Amanita may be even more effective, as it connects the well known Hypoxia Inducible Factors (HIFs) (connected to increased glycolisis) with RNAPII. https://www.ncbi.nlm.nih.gov/pmc/articles/PMC3681429/ And here is a Nature Review paper on the same subject http://www.nature.com/nrm/journal/v16/n3/abs/nrm3951.html Overexpression of HIF1A is known to drive the progression of various cancers, via increased expression of target genes such as glycolytic enzymes (PGK, LDHA), pro-angiogenic factors (VEGF) and glucose transporters (GLUT1). Interesting fact that supports the expected anti cancer activity of RNAPII inhibitors such as Amanita is that Triptolide, another very well known anti cancer compound (with its origin in the Traditional Chinese Medicine) currently intensively investigated as a potentially new Chemotheraphy drug, was recently found to also induced cellular RNAPII (specifically, its largest subunit Rpb1) decrease in different cells and importantly, this ability of the drug was shown to be proportionally correlated with its tumor cell-killing activity (Ref.1, Ref.2). There is a lot to discuss regarding RNAPII and cancer, but what seems to be clear is that RNAPII is connected with multiple events in cancer and its inhibition has the potential to stop and kill cancer alone or in combination with chemo e.g. cisplatin (Ref.). As Dr. Isolde recommends, standard therapy Amanita phalloides (zert. Riede) D2 from Herbamed AG (this seems to be the only commercial source of D2 concentration version) is used in 4 x 10 drops daily, resulting in an uptake of 50 ml per month. Keeping it under the tongue for 5 minutes is recommended for best absorption. Amanitin is rapidly absorbed into the body and distributed. The human has no peptidase, so it can not degrade this substance, only a slow decay takes place. If amanitine is absorbed through the intestine, it passes into the liver and is partly excreted with the bile. This is avoided when absorbed via the mucous membranes, i.e. when keeping it under the tongue. (Ref.) It is reccomended to be taken for 3 months, then 1 month break, and repeat. Monitoring of appropriate parameters is recommended. It is expected that after two months of its use, a change in monitoring parameters should be visible. It is off-course suggested to avoid sugar during Amanita therapy. A dose of approximately 5 mg amanitine is fatal for humans, equivalent to 1 liter Amanita D2 or 100 liters Amanita D4. Since the daily dose is 4 x 10 drops daily of the D2 solution and not 1 liter, the daily dose is far from being dangerous (Ref.). Amanita D2 is made in Switzerland by Herbamed) and Runge Pharma in Lörrach is importing it into the EU http://shop.savit.de/runge-pharma/. It can be ordered via German pharmacies (on prescription due to the high D2 concentration) and the price seems to be a little more than 100 euro for 50ml that would be enough for one month. For more details on the use and source you may want to contact Dr. Isolde Riede http://tumor-therapie.info/html/kontakt.html I did contact her and she seems to respond by e-mail relatively fast. I was not asked for any cost when I asked her for the treatment plan she is using, which is very positive in my view. Cancer relapse occurs with substantial frequency even after treatment with curative intent. Here we studied drug-tolerant colonies (DTCs), which are subpopulations of cancer cells that survive in the presence of drugs. Proteomic characterization of DTCs identified stemness- and epithelial-dominant subpopulations, but functional screening suggested that DTC formation was regulated at the transcriptional level independent from protein expression patterns. We consistently found that α-amanitin, an RNA polymerase II (RNAPII) inhibitor, effectively inhibited DTCs by suppressing TAF15 expression, which binds to RNA to modulate transcription and RNA processing. Sequential administration of α-amanitin and cisplatin extended overall survival in a cancer-relapse mouse model, namely peritonitis carcinomatosa. Therefore, post-treatment cancer relapse may occur through non-distinct subpopulations and may be effectively prevented by α-amanitin to disrupt transcriptional machinery, including TAF15. Phallolysin, a protein from Amanita phalloides with cytolytic effects in vitro, was highly toxic when given intravenously to rats, mice, rabbits and guinea pigs: i.v. LD50 in rats was 85 Haemolytic Units (HU)/kg, corresponding to 0.05 mg protein/kg b.w. Death ensued from intravascular haemolysis. In rats large doses (600 HU/kg b.w.) caused cardiac death within a few minutes due to liberation of potassium from lysed cells. The serum contained lethal concentrations of potassium. There was also histological evidence of severe renal damage as a result of the haemolysis. In addition, phallolysin directly damaged the isolated guinea pig heart and the isolated rat liver, probably by its action on membranes. Given by mouth, phallolysin was not poisonous to rats. Phallolysin, a water soluble protein of Mr 34,000 produced by the poisonous mushroom Amanita phalloides, causes lysis of various mammalian cell types. Lysis is thought to be initiated by the formation of ion permeable membrane channels. We therefore studied the interaction of phallolysin with solvent-free planar lipid bilayers. In the presence of low phallolysin concentrations (10-100 nM) single channel current fluctuations were observed. Unit channel conductances are 44 pS in 500 mM NaCl and 77 pS in 1 M NaCl. Although the channel does not significantly discriminate between alkali cations, its permeability to Cl- is lower (PK+/PCl- = 4/1). Gating kinetics display a pronounced bursting behavior and a dependence on membrane voltage, cis side pH-value, and on membrane lipid composition. An equivalence relation between membrane voltage and proton concentration was found, i.e. a pH change of one unit is equivalent to a corresponding voltage change of 130 mV. Dependence on the amount of negatively charged lipids is explained by changes of the actual pH due to surface charge effects. Membrane damage of liposomes by the mushroom toxin phallolysin. Molecular events that cause tumor formation upregulate a number of HOX genes, called switch genes, encoding for RNApolymeraseII transcription factors. Thus, RNApolymeraseII is used to full extent in tumor cells but not in somatic cells. Amanita phalloides contains amanitin, inhibiting RNApolymeraseII. Application of Amanita phalloides influences tumor cell (but not normal cell) activity. Dilutions of Amanita phalloides are applied to a patient with both, colon carcinoma and thyroid carcinoma. Monitoring tumormarkers, different doses of Amanita are applied. After two years of stabilization, somatic investigations and imaging methods reveal complete remission. Change of dietary practice with the addition of daily 70 gram sugar lead to increase of tumormarker values. Following dietary without sugar and reduced carbohydrates decrease tumormarker values. With sugar, tumor activity increase despite Amanita tumor therapy, therefore, poor carbohydrate diet supports the therapy. Background Molecular events that cause tumor formation upregulate a number of HOX genes, called switch genes, coding for RNA polymerase II transcription factors. Thus, in tumor cells, RNA polymerase II is more active than in other somatic cells. Amanita phalloides contains amanitin, inhibiting RNA polymerase II. Partial inhibition with amanitin influences tumor cell—but not normal cell—activity. Objectives To widen the treatment spectrum, homeopathic dilutions of Amanita phalloides, containing amanitin, were given to a patient with leukemia. Monitoring the leukemic cell count, different doses of amanitin were given. Results The former duplication time of leukemic cells was 21 months. Within a period of 21 months, the cell count is stabilized to around 105/μL. No leukemia-associated symptoms, liver damage, or continuous erythrocyte deprivation occur. Conclusions This new principle of tumor therapy shows high potential to provide a gentle medical treatment. Great to see you posting again, Daniel! When I meet a new cancer patient or their partner I direct them to this site. Thank you so much for your msg. Very nice to hear from you! Thank you for your donation in the name of those will benefit from it. I should mention that you are one of the few who are supporting this website not only with kind comments but also with donations. I took and will take care that your donation will be where it is the most needed!